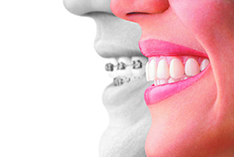 Faster treatment: With aligner changes, you’re on your way to the smile you want even faster. Depending on your response to treatment, particularly in mature adults, we may consider longer periods between aligner changes. We will create precise 3D digital images of your teeth to map out a specific treatment plan, including the exact movements of your teeth and how long your treatment will be. You’ll even get to see how your teeth will move and preview your new smile.